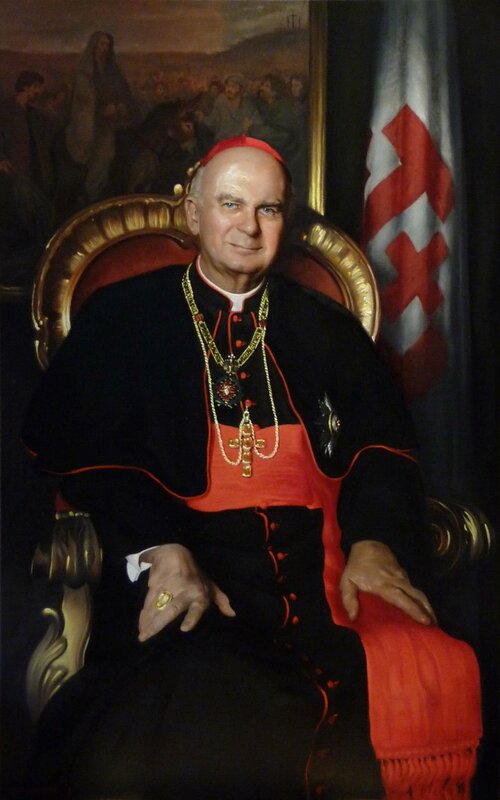 As editor of Philadelphia's Catholic Standard and Times and later as President of the Pontifical Council for Social Communications in the Vatican, the Cardinal's professionalism and integrity was universally respected among his peers. For members of the press and for the English-speaking public around the world, in press conferences and radio and television commentaries, he was a gifted evangelizer, explaining Catholic teaching and practice clearly and thoroughly and often with a self-deprecating humor. During his four years leading the Equestrian Order of the Holy Sepulcher of Jerusalem-years he compared to "a spiritual retreat"-the order grew significantly in lieutenancies and numbers throughout the world, largely due to his devoted commitment to the Church in the Holy Land and his constant travel. I will be ever grateful for his words of support and counsel these three brief months since my appointment as Pro-Grand Master of the Order. In the footsteps of the Philadelphia native, the New York-born prelate's August appointment as the millennium-old group's second non-European Grand Master was seen as a vindication of Foley's brief, but exceptionally successful tenure leading the Knights and Ladies, whose modern membership is principally concentrated in the English-speaking world, a plurality of them in the US. From Rome, meanwhile, speaking to Vatican Radio on the loss of his longtime colleague and close friend, the Holy See's lead spokesman, Jesuit Fr Federico Lombardi, paid an emotional tribute, saying that "all those who knew him admired and loved him so much for his kindness and his spirituality: he really was a man of a high spiritual caliber. Foley "personified friendly relations in the best way," Lombardi added," in being "open and attentive about the church in the world of social communications, not [seeing it] as an 'impersonal' world, but as a world 'of persons.'"